School of Music has raised $ 7,415 from 28 gifts! Join us today in creating the first endowed KU Music Multicultural Scholarship! The University of Kansas School of Music is committed to creating and maintaining a diverse, equitable and inclusive environment for its students, faculty, and staff. The Multicultural Scholars Program (MSP) at KU Music is a new program offering a unique opportunity for undergraduate students from underrepresented backgrounds to join a community whose goal is to ensure their academic and career success. MSP students have opportunities to develop leadership skills through specially designed academic, social, personal and career-oriented experiences throughout their four-year course of study. The Music MSP assists and prepares students to receive the maximum benefit of their educational experience. A vital element of the Music MSP is scholarship support. Students within the program receive renewable scholarships to help offset the cost of their education. Today we ask you to join us in creating the first-ever endowed KU Music Multicultural Scholarship to support our MSP students. 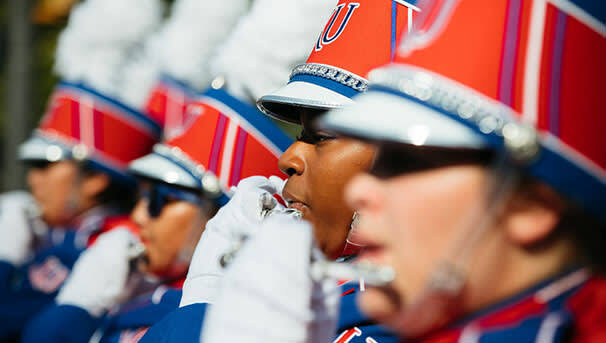 With your help, we can prepare diverse musical Jayhawks for their future!